If you’re wondering if investing in a swim spa is really worth it, you aren’t alone. 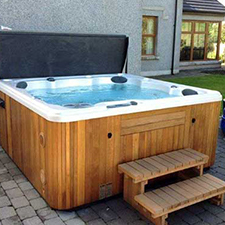 Many people see spas as luxuries reserved for people who just want to relax and party. While spas can take any party to the next level, they bring a lot more to the table than simply being an attraction to bring your friends over. The right spa can transform your health and overall wellness. In fact, spas play key roles for people recovering from surgery or trying to get stronger in a way that’s kind to their bodies. Check out the main benefits a spa can bring straight to your back porch! Use the currents created by a spa to train endurance and strengthen your heart. It’s gentle, low-impact, and completely customizable. It’s easier to get moving in the spa, and with resistance from the current, you can get stronger and improve your balance. Water takes the pressure off of your joints while helping your bones build up. Aquatic exercise has been proven to boost flexibility because it relaxes the muscles and takes pressures off the joints. When you can move comfortably, it’s a lot easier to burn calories and maintain a healthy weight. A spa is the answer! Having a dedicated space to relax, think, and breathe can make a huge difference in your thoughts and emotions. Choose a spa, and you’ll quickly realize it was the best decision of your life. 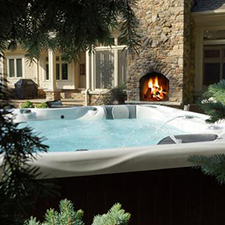 The Hot Tub Outlet team is on a mission to make sure you get a spa that fits your needs and budget. Contact us online or visit us in Westland today! Expert Maintenance ServicesCall Us Today! ©2019 Hot Tub Outlet - Do not copy. All rights reserved.